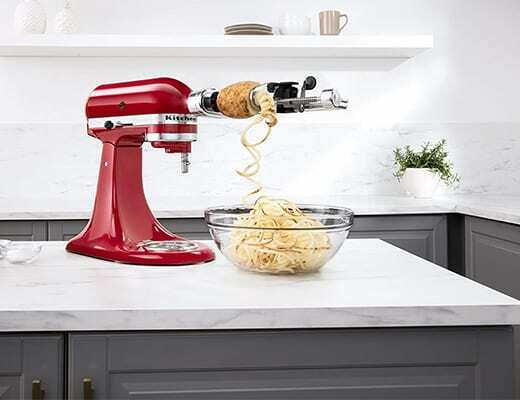 Reinvent classic meals and inspire your culinary creativity with the versatile KitchenAid Spiralizer with Peel, Core and Slice Stand Mixer Attachment. The KitchenAid Spiralizer uses 4 quick-change blades and an optional peeling blade to inspire healthy versions of classic recipes and unleash your culinary potential. Premium metal construction provides durable long lasting performance, and when attached to the stand mixer, provides stability and ease of use.